The package includes four headsets housed in a bespoke storage and charging case, together with an easy to use Teacher Portal. 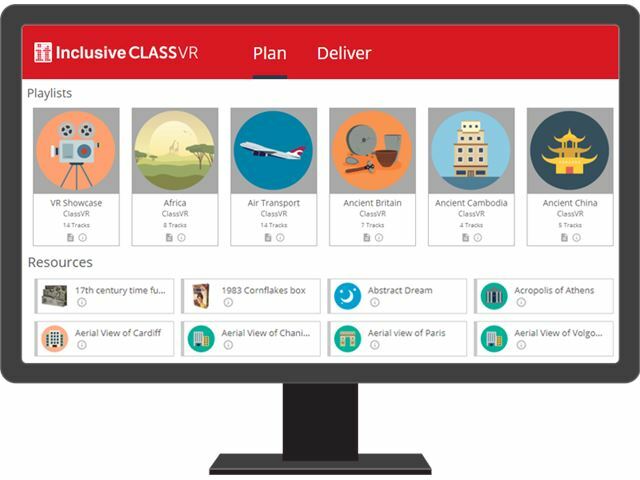 With access to hundreds of curriculum-aligned, virtual and augmented reality resources, Inclusive ClassVR has been specifically designed to educate, motivate and raise engagement for students of all ages and abilities. It’s affordable too! Four VR headsets loaded with SEN content, setup and configured ready to go. A portable and robust storage and charging case. A 12 month subscription* to the Teacher Portal (*renewed annually at a cost of £299 per year). Online access to training including lectures, videos and quizzes. 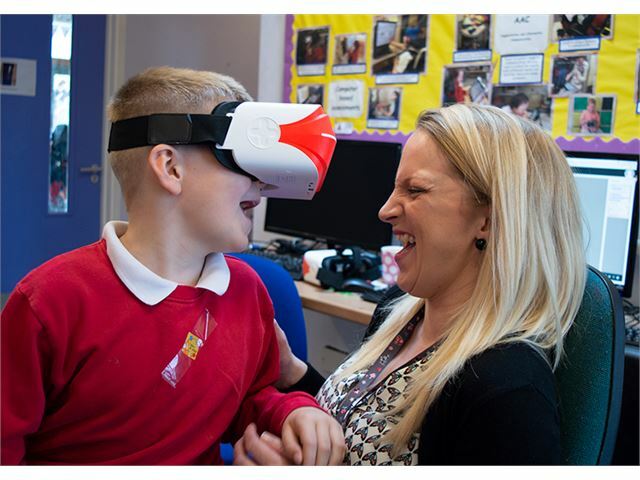 The ‘standalone’ headsets deliver fully immersive virtual and augmented experiences while being wirelessly managed and controlled by our innovative Inclusive ClassVR Teacher Portal. They are lightweight and comfortable; students can even wear eye glasses! 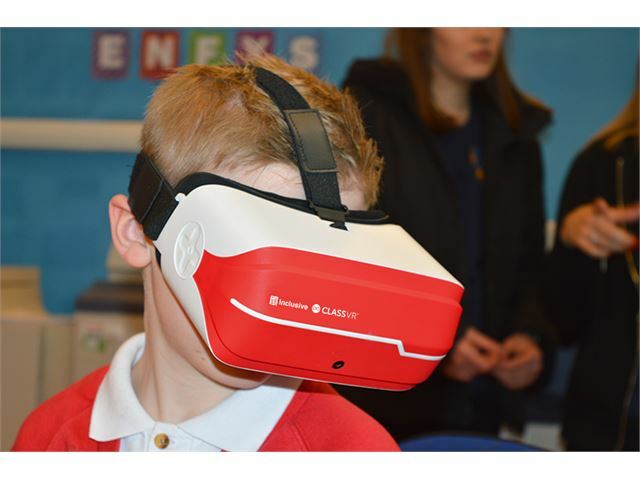 With an HD screen, 8MP front facing camera, integrated Wi-Fi and a battery that will last the school day, Inclusive ClassVR is ready to go straight out of the box! 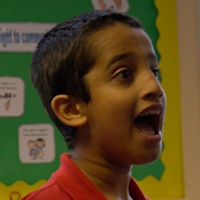 You will have access to a wide range of 360º videos suitable for students with learning difficulties, sensory impairments and physical disabilities. Sensory Experiences - a selection of videos that provide engaging multi-sensory stimulation including landscapes, environments and scenes. Physical Development - ideal for those students with physical disabilities providing the opportunity to experience things they may not be able to physically access. Videos and packs are added on a regular basis. Ricoh Theta SC 360 Degree Camera - you can use the Ricoh Theta SC 360 Degree Camera to create immersive spherical content and experiences for your Inclusive ClassVR with this 360 degree camera that offers high performance, easy operation and a light-weight, compact handheld solution. See here for details. The Teacher Portal provides an easy way to find educational VR resources. Search hundreds of activities by subject, topic or even a keyword, and find readymade collections or individual resources to build your own lesson. 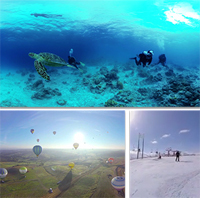 You can even upload and store your own VR content, such as 360º images and videos, with just a few clicks. 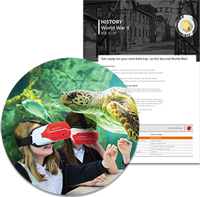 Inclusive ClassVR also comes complete with a huge range of pedagogically sound, engaging content along with structured lesson plans to help spark the imagination of students, leaving them with memories and experiences that help visualise and understand even the most complex of educational subjects. 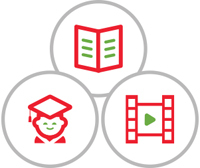 There are currently over 500 pre-made activities, instantly accessible and covering a huge range of topics and curriculum subject areas aligned to UK National Curriculum and US State Standards. Augmented Reality brings educational content to life, allowing students to view and interact with exciting 3D models, providing greater engagement, understanding and ultimately knowledge retention. 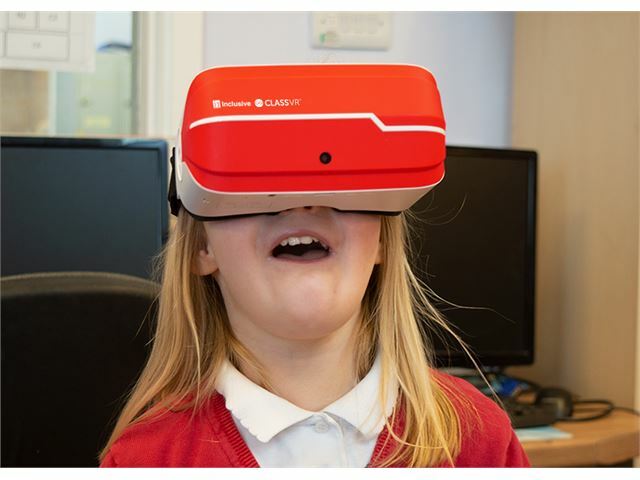 The Inclusive ClassVR headsets include a front-facing camera and an Augmented Reality Classroom App, so students can get up close and personal with content, such as a beating heart or Jupiter by simply looking at special QR codes on one of our worksheets. 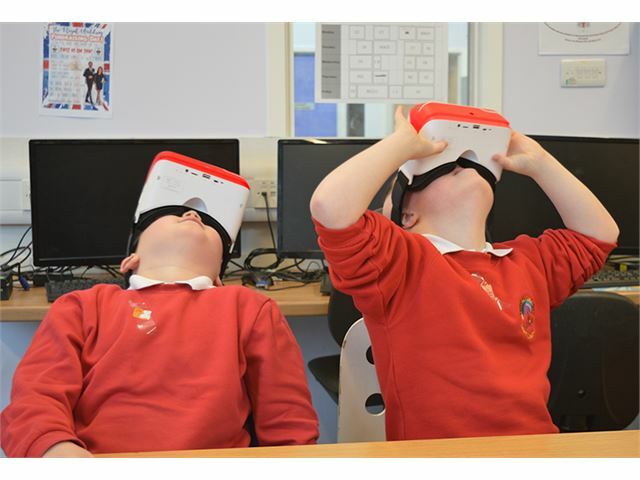 With Inclusive ClassVR and a 360º camera, teachers can create personalised virtual reality content. 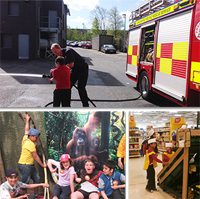 Teach important life skills activities that can help, educate and ready students to live and work within the community successfully, such as staying safe while crossing the road, travelling on a bus or train, managing finances when visiting a shop. The possibilities are endless. Inclusive ClassVR includes 12 months annual subscription. Making sure the headsets are ready for class means keeping them safe, secure and fully charged. The rugged storage and charging case provides maximum safety and security within the classroom and allows all of your headsets to be charged safely and swiftly. The portable case allows you or your students to easily and safely move devices between classrooms, sharing the engaging experience with all students. Inclusive ClassVR includes Online CPD Training which has been designed to help you get the most from your new investment. The course consists of comprehensive, bite-sized lectures with short videos and quizzes, allowing you to learn at your own convenience. You’ll receive updates as we add more material to our online courses, so you can stay up to date with the latest features. Getting technology working in different environments can be troublesome. Our team will setup and configure everything for you, so that when you receive your headsets, just turn them on and you are ready to start teaching! 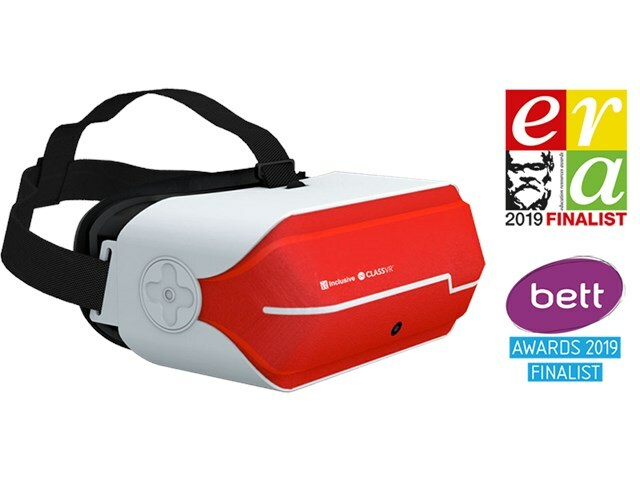 We are delighted to announce that Inclusive ClassVR has been shortlisted as a Bett Awards Finalist in the category Special Educational Needs Solutions. 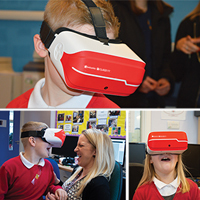 Inclusive ClassVR has been highlighted as a product that makes a distinct contribution to supporting learners with special educational needs. Inclusive ClassVR provides everything you need to implement VR in your school!